Who was Robert Henry Eddy, and why should you care? Robert Henry Eddy was a life member of NEHGS who died in 1887 and bequeathed a substantial sum of money to the Society. * Mr. Eddy had been an architect, civil engineer, and in later life, a very successful patent attorney. In 1902, NEHGS used $20,000 of the Eddy bequest to establish the “Eddy Town-Record Fund, for the sole purpose of publishing the Vital Records of the towns of Massachusetts.” This fund would become the basis of a major project to preserve early Massachusetts vital records. The so-called “Vital Records Act” provided for the purchase, by the Secretary of the Commonwealth, of “500 copies of the vital records of any town in Massachusetts, whenever such record should be printed and verified in the manner required by the Commissioner of Public Records and the Board of Free Library Commissioners, acting jointly, and the work should appear to them to have been prepared with accuracy, provided that not more than $15,000 should be expended in one year.” Qualifying record books would be purchased by the state at a fixed rate per page. 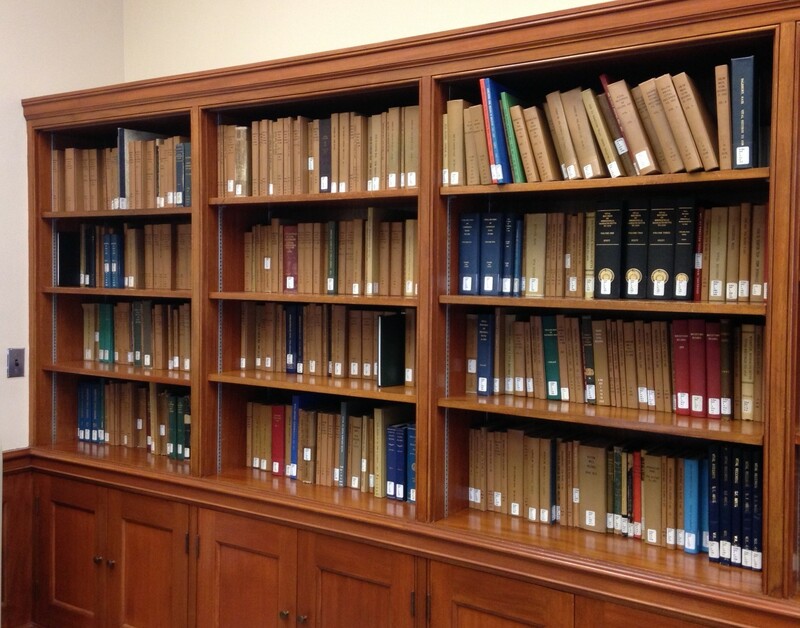 The state-purchased volumes were then donated to public offices, libraries, and historical societies. Between 1902 and 1918, when the act was repealed “as a measure of war economy,” the vital records of 149 Massachusetts towns were published. The primary organizations involved were NEHGS (82 towns); the Systematic History Fund, published by Franklin P. Rice (34 towns); Essex Institute (21 towns); and the Topsfield Historical Society (11 towns). Since 1918, records of 41 additional towns have been published, the most recent being the NEHGS Vital Records of Springfield, in 2003. Today, the Massachusetts Vital Records to 1850 database available on AmericanAncestors.org includes all those towns, plus records from manuscripts in the NEHGS R. Stanton Avery Special Collections, and records donated by other organizations, totaling 210 towns in all. A pdf list of the towns can be found here. This database was originally released in 2001 and has been revised many times since then to include additional towns, complete primary name information, and images of all 92,163 pages included. Best of all, this 2.6 million record database is searchable by anyone, at no cost, on AmericanAncestors.org. So the answer to my question is, Robert Henry Eddy was the first of many generous NEHGS members to help make the early vital records of Massachusetts available to all. *NEHGS is a non-profit organization and derives about 40% of its operating expenses from membership fees. The majority of the balance is made up through contributions from generous individuals who are interested in preservation of genealogical records. Excellent post. I certainly can appreciate the generosity of Mr. Eddy who made so much so possible for the rest of us. In retrospect though, I suppose I feel a greater appreciation for the lone individual, who at all his own time and expense, went out and transcribed cemetery records, or did reasearch requests for complete strangers as they might have come into the library through the years since its inception – seeking that “random act” of genealogical kindness. While it is more than true that the Society cannot function as a whole without its benefactors, neither can it persist without the efforts and thrust of the common man’s generosity and interest in the furtherance of the fields of history and genealogy. Indeed, kudos must go out to both. That’s a great point, Jeff. NEHGS is extremely fortunate to have a large number of volunteers that help us with all kinds of tasks, both from home, on website-related tasks, and in Boston, in every activity area at NEHGS. 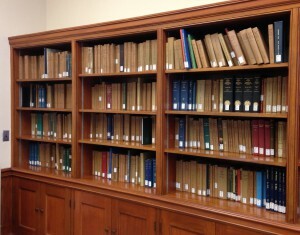 A great deal of the database content on AmericanAncestors.org is the product of our terrific volunteer team, without whom we hard-pressed to produce new searchable content. Will the NEHGS again take up a leadership roll in completing the job? Too many Mass. towns are still unpublished, including several Cape Cod towns. Bruce, Please take a look at the pdf list of towns in the MA VRs to 1850 collection (link in the article, above.) We’ve been adding Cape Cod towns from our manuscript collection (E.g., Wellfleet and Provincetown), Cape Cod towns published by other authors (E.g., Falmouth, Yarmouth, Eastham-Orleans, Truro, and Brewster), and Western Mass. towns from the Corbin Collection (e.g., Amherst, Northampton, Southampton, Chesterfield, and Belchertown.) We have several more Western Mass towns from the Corbin Collection in the backlog. Keep checking back for periodic updates of the database. Another part of Robert Henry Eddy’s will provided funds for the equestrian statue of General Fitz John Porter in Portsmouth, NH. Both gentlemen are my cousins.